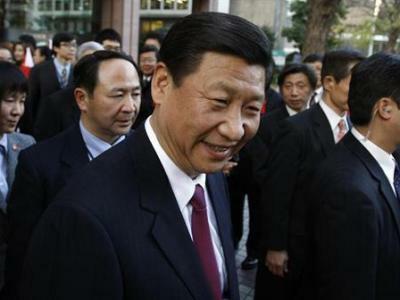 China’s top leaders convene for their latest secretive conclave giving them a chance to ponder looming economic and political choices ahead of leadership changes in the world’s second-largest economy. This year, the five-day annual meeting of the Communist Party Central Committee will ostensibly focus on enlivening the nation’s “cultural system”: its state-run publishers, performance troupes and broadcasters struggling to balance the pull of the marketplace with the dictates of propaganda. But the gathering will give central and provincial leaders a chance to discuss clouds gathering over China’s economy, and the delicate politics of choosing a new leadership to take over when President Hu Jintao and Premier Wen Jiabao step down after the party congress in 2012, Reuters reports. The central committee plenum will bring together some 370 officials — more than 200 of them full committee members, the rest auxiliary members — and it usually gathers at the walled-off Jingxi Hotel in west Beijing. The government does not disclose details of what transpires at such meetings, and usually issues a vague summary of the outcomes after they end, allowing only guesses on the directions being mapped out. In China, power resides in the party elite, and meetings of the Communist Party Central Committee are chances for powerful provincial chieftains to push their agendas and lobby for promotions for themselves or protges. “These plenums always have a theme or excuse to meet, and this year it’s culture, but that’s also an excuse, or front, allowing the leaders to meet and discuss other issues,” said Chen Ziming, a Beijing-based political analyst who was imprisoned after 1989 protests for advocating democratic change. However, China’s top-down decision-making usually works in increments, and it’s early for leaders to make big leaps in economics or politics, said analysts. When it ends Tuesday, this meeting could emit rumblings of changes to come, but not thunderbolts of instant change. Additionally, the advent of leadership changes makes officials even more cautious, discouraging them from policy gambles that could damage their prospects. “I think that at this level a lot of things are quite uncertain because it’s really up the top leaders to negotiate who should stay, who gets promoted and who is not. I think this part is not clear,” said Bo Zhiyue, a political scientist at the National University of Singapore’s East Asian Institute, referring to the leadership to succeed Hu and Wen. Although Vice President Xi Jinping and Vice Premier Li Keqiang are the front-runners to succeed Hu and Wen respectively, the membership of the rest of the next standing committee, the party’s leading core, will be settled only in the coming year through complicated give-and-take, said Bo. “Gradually, they are going to narrow it down to two or maybe one long list of candidates for the 18th central committee. But for the top leadership — the politburo members and the politburo standing committee members — it is really up to, more or less, bargaining among the elites,” said Bo. The 18th central committee will be chosen at the party congress due to convene in late 2012, succeeding the current, 17th central committee. Potential contenders for top positions who will gather in Beijing include: Bo Xilai, the charismatic boss of Chongqing municipality in the southwest, who has promoted an ambitious program to narrow economic inequalities; Wang Yang, the boss of export-driven Guangdong province in the south, who has cast himself as a more liberal leader; and Yu Zhengsheng, the boss of Shanghai, the country’s coastal business centre. One player who will not attend is Jiang Zemin, the retired president likely to still have some say over key personnel decisions. But he attended a big anniversary meeting at the weekend, signalling that rumoured ill-health has not incapacitated him. In economy policy, too, the central committee meeting is, at most, likely to flag government thinking, but not settle on any major changes to an economy that has grown rapidly but has suffered from nagging inflation and concerns about a global economic downturn. Data released Thursday showed China’s trade surplus narrowed for a second straight month in September, with imports and exports lower than expected, reflecting global economic weakness and domestic cooling. The central committee meeting also could “be an occasion to discuss contingency policy plans to any fallout of the euro zone sovereign crisis,” Tao Wang, head of China economic research at UBS Investment Bank in Hong Kong, said in a research note. Any big steps were likely only in late 2011, when leaders hold their annual conference to set broad economic policy, said Wang. “By then, we think policy-makers would have observed the deceleration in export growth as well as inflation, which would then prompt them to revise (their) policy stance,” he wrote.